The Arkansas River in Colorado is home to some of North America’s most popular whitewater stretches. Here you’ll find everything from the wild, challenging section of Pine Creek near Granite, CO, to the thrilling and scenic family-friendly rapids of Browns Canyon near Buena Vista, to the towering rock walls of the Royal Gorge near Cañon City. With every class of whitewater available and great Colorado rafting for families with young kids, groups and adrenaline junkies, Arkansas River rafting truly has something for everyone. There’s a reason that whitewater rafting on the Arkansas River in Colorado is one of the most popular and exciting river trips in the country. Combine the scenic beauty of the Arkansas River Valley with the majestic Colorado mountain terrain and the excitement of continuous whitewater and you get the best whitewater trips available in Colorado! Browns Canyon trips are our most popular family rafting trips! For beginner to intermediate rafters, we suggest Browns Canyon. This stretch of rafting on the Arkansas River near Buena Vista is one of the most rafted stretches of whitewater in the country offering accessible rapids for rafters of all ages and dramatic scenery that made Colorado famous. 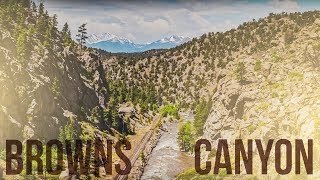 Browns Canyon is a national monument and your rafting trip through Browns will provide you scenic rafting on consistent intermediate whitewater. If you’re a fit and active adventurer seeking non-stop whitewater action, the Arkansas River has the whitewater you are seeking! You'll find some of the best advanced whitewater in all of Colorado on the upper sections of the Arkansas River, just across the street from our Buena Vista Outpost. Join us for our thrilling and wild whitewater trips on the Arkansas River! Make the most of your whitewater adventure in Colorado by joining us on an Arkansas River Overnight Rafting Trip! Our overnight rafting trips complete your day on the water with riverside camping with a delicious dinner cooked up by your guide and a hot breakfast the next morning before you head out on the water. The Arkansas River Outpost is located just 14 miles north of the town of Buena Vista and about 120 miles southwest of Denver. The Arkansas River flows directly through this charming rafting town and provides whitewater adventure for first-timers and rafting enthusiasts alike. When rafting the Arkansas River, it's best to layer up with quick-drying material. The water will be cold, however, in the peak of summer the dry and warm temperatures will help you dry quickly. Many people will wear a swimsuit as their base layer. Avoid wearing any cotton because once it gets wet it can keep you cold and does not dry quickly. Your trip includes a wet suit and splash jacket if needed, and it is occasionally required in the early season. Make sure that you wear shoes that you don't mind getting wet that are also secure to your feet. Water shoes and old tennis shoes work great. Flip flips and crocs are not permitted. Be sure to bring secure shoes that you don't mind getting wet. We also suggest waterproof sunscreen, sunglasses, croakies to keep your sunglasses safe and secure, and a water bottle to keep you hydrated. When can I raft on the Arkansas River? The Arkansas River's headwaters are located in Leadville, CO, just north of our Buena Vista Outpost, and flows to Pueblo before heading east and crossing the border into Kansas. The season for rafting the Arkansas River varies greatly by location. The Buena Vista section of the Arkansas River typically runs from mid or late April through Labor Day, however it can be longer or shorter based on water levels. How far away is the Arkansas River from Denver? The Buena Vista section of the Arkansas River is about 2 hours southwest of Denver. 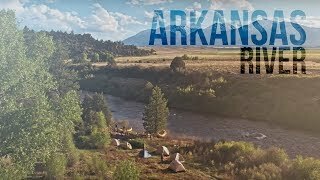 What is the minimum age for rafting on the Arkansas River? To raft the Arkansas River with AVA, children must be at least 7 years old and are able to raft the Browns Canyon section at that age. When water levels rise, however, the minimum age is subject to change. The Arkansas River flows east and southeast through Colorado, Kansas, Oklahoma and Arkansas, with the source basin sitting right in the Arkansas River Valley of Buena Vista, CO. The water is fed by melted snowpack from the Sawatch and Mosquito mountain ranges. As it winds through the US, it spreads over 1,400 miles, making it the 6th longest river in the states and the 45th longest river in the world. AVA Rafting & Zipline was established in 1998 in Buena Vista, CO, making the Arkansas River our original rafting headquarters. Rafting trips on the Arkansas River are available from late April through Labor Day each year. Our Arkansas River trips include a variety of trip lengths, excitement levels and multi-adventure package options. 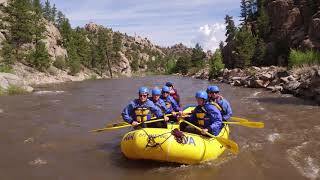 Our Browns Canyon trips feature a series of class III rapids through the scenic Browns Canyon National Monument. Choose from 1/2 day, 3/4 day, full day or our 24 hour overnight trip for your Browns Canyon adventure. Kids ages 7 and up and join us on this section, but the thrilling rapids and breathtaking scenery make this trip great for all ages and desired experiences. Just north of Browns Canyon lies the Numbers and Narrows sections of the Arkansas River. 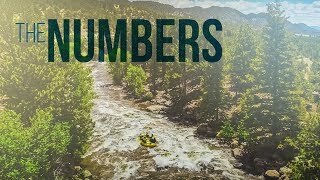 Our Numbers and Narrow trips are a bit more extreme than Browns Canyon and rafters must be at least 15 years old to join us on these sections. The full day trip combines the Numbers and Narrows section with a chicken fajita lunch on the river cooked by your guide. We also have a 1/2 day trip of the Numbers section, as well as an overnight that rafts the Numbers, Narrows and Browns Canyon called the 2 Day Advanced. 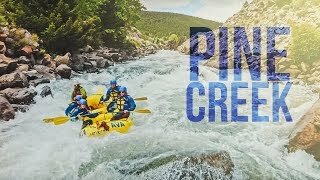 The most extreme section of the Arkansas River is the Pine Creek section of Granite, CO, just a few minutes north of our Buena Vista Outpost. This section features the most technical and challenging whitewater on the Arkansas River. The Pine Creek rapid gradually drops 200 feet and brings you right into the next rapid, Trip Drop Rapid. Our trips on the Pine Creek section are available as a 1/2 day, full day and 3 day Mild to Wild Overnight that includes the Browns Canyon, Pine Creek, Numbers and Narrows sections over 3 days and 2 nights on the river. Your Arkansas River rafting trips can be packaged with our Mountaintop Zipline and Granite Via Ferrata trip. Cabins and campsites are also available at the Buena Vista outpost.